Looking for a way to earn some extra money from home, then maybe you have come to the right spot, and in this NeoBux Review, I will show you that it is possible but it will cost you. NeoBux is one of the original PTC(Pay to Click) sites that have been around for just over a decade now, which in the life of a PTC site is quite an achievement, or so it would seem. With more and more of these PTC sites getting dropped by the wayside with PayPal not having anything to do with them, it looks like NeoBux has also gone the same way, but don’t jump ship, not just yet! What actually got my curiosity was the claims of some of the NeoBux members (within the forum) claiming to be earning huge amounts of money, by a technique that is unique to NeoBux, but takes time and can cost you a whole bunch of money, but we can cover that a little later. Anyway without further ado, let’s jump right into this review. Description: Get paid for clicking on ads, and taking surveys amongst other activities. Reasoning: Although you can earn small amounts be prepared to spend hours clicking on ads, taking surveys, and playing games for pocket money? How Much Can I Make with NeoBux? How Does NeoBux Pay You? 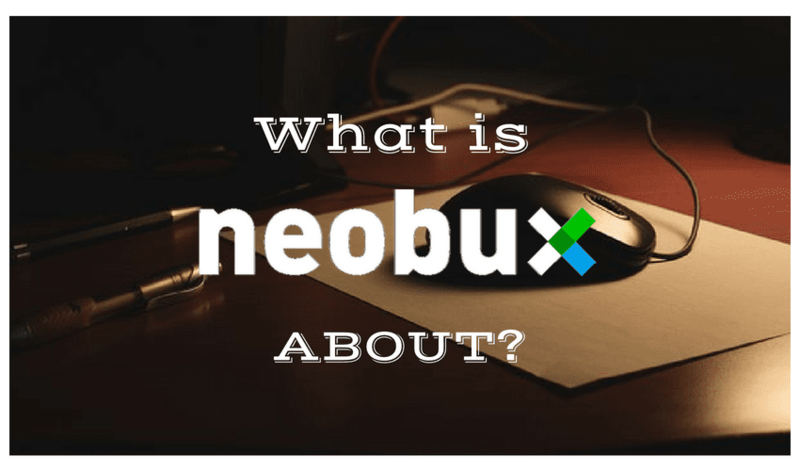 NeoBux Review – Final thoughts! NeoBux is a PTC (Paid to click) site that has been around since 2008 and is owned by a Portuguese company NEODEV LDA who are based in Porto. I can’t see any restrictions on members and which countries they come from and I believe it is ok to say that all countries are accepted into NeoBux. The problem might be when trying to access any money that you make. Initially, this site was created to allow members to get paid by clicking on their client’s advertisements, but over the years they have added a number of other ways to earn money, such as surveys, playing games, offers, etc. Looks like they are trying to move from a PTC site to a GPT (Get Paid To) site just like Clixsense as there are many similarities. NeoBux.com get paid by their clients for handling and marketing their products on a PPC(Pay Per Click) or PPV(Pay Per View) basis which are affiliate marketing terms within internet traffic, where the client pays NeoBux.com for viewing and/or clicking on adverts, regardless of whether anything is purchased or not. A portion of that amount is passed onto the NeoBux members for their time in viewing or clicking on the client’s ads. Now you can check through the NeoBux forum and check out members stats and how they are performing, as there are some interesting results if what you read can be believed, but I have no reason to disbelieve this, so feel free to check them out for yourself. The main source of income on NeoBux.com is through “Renting Referrals”. OK, now this is where it can get a little complicated and when these types of sites have any sort of complexity then in my experience they are trying to hide something. I will touch on that method a little later in the review. NeoBux was initially created as a PTC site so we’ll take a look at the main source which is clicking on ads. Just so that you don’t miss anything, you can set up an alarm to inform you when these ads are getting posted to your account. Just go into your personal settings. The below image is the “View Advertisements” display. As you can see this is where the ads are stored for you to click on and get paid which don’t come around as often as you’d like. In my experience, you get around 20 ads on a day to day basis. All you have to do is click on the ad box and a red dot will appear which you have to click (God forbid if a robot was involved) and wait for the ad to display, then you have to wait until the time expires which in all takes about 12-15 seconds. $0.001 which is the normal amount paid. $0.005 don’t come around often, so don’t get too excited when they do. If you managed to receive continuous advertisements (which you obviously don’t) then to reach $1 it would take you approximately 4 hours based on 15 seconds per ad view. Which gives you an hourly rate of around $0.25 for clicking 1000 Ads. It would take 50 minutes to generate $1. That’s an hourly rate of just over $1.00 for clicking on around 200 Ads. Experience tells me that you will be lucky if you are given 20 ads in a day to click on! Now, it doesn’t take a genius to realize that this is absolutely horrendous pocket change, but I do understand in some countries where the economy is bad with jobs and money extremely tight, that every little helps and that this type of online opportunity seems to be acceptable. Swagbucks and TopCashBack which are better alternatives if earning a few bucks here and there is what you are happy with? Alternatively, you could look at the bigger picture and focus your time in a more productive way and learn how to build an online business, and the beauty about this is that it is FREE to join and NO CREDIT CARD will be asked for. Referrer, if you have come through a referral. Select terms and consent and continue. Almost immediately you will receive an email to activate your membership and then you are ready to go. 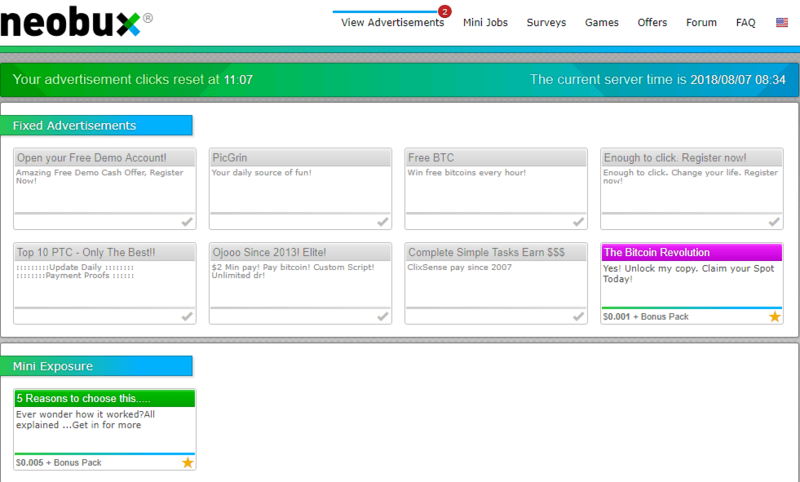 OK, so we have pretty much covered the main source of earning with NeoBux which is clicking on ads. Now let’s take a look at other ways to at least keep you moving in the right direction. Want to mix it up a little then check out the mini-jobs, which incidentally don’t look too mini to me. Take a look for yourself! Let’s take a look at the 2 so-called mini-jobs that you can see in the above image. There are 105 tasks before you reach your goal of $0.75 and just how long the tasks take to complete is anybody’s guess. I wasn’t about to try! The 2nd job in the list, here you have to complete 1000 tasks before you reach the same goal as the one above of $0.75. Come on seriously? Note: It is my understanding that you could be spending several hours on let’s say the 2nd job with 1000 tasks, and right up to completing those tasks which are going to be taking some considerable time, you could be thrown out and end up losing everything, well the 75 cents anyway. Now I don’t know about you but I have spent many hours in the past doing surveys earning very little money, and quite frankly I hated them. Nowadays they are even worse as there are so many more similar sites competing for the same space. I tried around 10 surveys spending quite some time filling in the pre-qualification questions only to be thrown out and been told that I didn’t qualify, and that’s a big problem nowadays, not just here with NeoBux but with all the other survey sites. Another addition to help increase the time you spend on the NeoBux.com site, and it just doesn’t seem to be getting any better! There is a maximum number of games you can play in any 24 hours, which is 250. Mind you, who is going to play 250 games in any one day? Not me that is for sure! The maximum time that you have to play a game is 2 minutes. Yes, a quarter of a dollar for playing games for 8 hours and 20 minutes. Coin offers are the NeoBux virtual currency that can be exchanged for money. But, you’ll have to wait 60 days from the successful offer completion date for these to be credited to your account. If you are curious to know more about this virtual currency and the value for exchanging to real currency then you might want to check out this explanation. Refer a Friend or direct referrals. Direct referrals can only be invited after you have a been a member for currently 15 days and that you have clicked on at least 100 ads. There are limitations on how many referrals you are allowed to invite, based on which membership level you are currently on. In NeoBux, this subject is quite vast and therefore I won’t be going deep into this complex area. Well its complex for a reason, right? What I will tell you is that “Rented Referrals” are supposed to be members who haven’t made any referrals. Now, if you go into the forum and start to look at some of the stats of members who are supposed to be raking in the money, you can see against just the one member that there are thousands (10s of) of rented referrals. Remember these are supposed to be actual members, and therefore I guess we are talking about millions of these rented referrals. So that should mean that there are millions of members on NeoBux, right? If that was the case then don’t you think that promoting “the current number of members on NeoBux” would be a good selling point, and a way to get even more members recruited? Of course, you do, but I can’t find a mention anywhere of how many NeoBux members they currently are. Do you see where I am coming from? What I will mention is that you can only rent a certain amount of referrals based on your membership level, which comes down to a yearly cost, which I have highlighted above. Rented referrals are purchased for a period of time and have to be extended at cost. You have to monitor those rented referrals because if they aren’t clicking on ads then you are paying for nothing. There is software to purchase to help you here, at a cost of around $7. Remember you are making a percentage of what your rented referral is making, and considering a single advertisement you can make either $0.001 or $0.005. That’s a % on either a 1/10th or 1/2th of a CENT, SERIOUSLY! Don’t forget that although it could cost you nearly $1,000 to upgrade your membership, it will still cost you in addition for each “Rented Referral”, not to mention costs for extending those referrals too. If you are still interested to know more about “Rented Referrals” then you can check out a couple of resources that I found for you which explains it in more detail, but remember what I said earlier in the review, that there was a complicated element? Well, this is it so good luck! I guess we all have a PayPal account but unfortunately this is not a payment method that is open to you. PayPal decided to pull the plug! Although NeoBux is open to all countries then you should seriously do your research and find out exactly whether there might be issues with the type of payment method that you have to use. It doesn’t matter what type of business or company when it comes to issues they all have their fair share of them, but I am struggling to actually find anything positive to say about NeoBux. My first glance at the software and it looks very professional. NeoBux is available in all countries, and what they don’t explain in detail is that there are only 2 payment processes that you can currently use and this could be a problem within some countries. Free, well it really isn’t! Free it may be to join, but as you have seen in this review in order to try and progress and earn more money you have to upgrade your membership, which could end up costing you as much as $980 a year as well as other costs on top of that too. I have seen reports of 10s of 1000s of dollars! PayPal generally is the normal payment process online, and it’s one that we all know and is used to, but NeoBux lost the backing of PayPal and I guess this is down to PTC sites and the way they operate. Well, it starts off OK at $2, but each time you cash out it goes up in increments of $2 until it reaches the upper level of $10. There is no mobile app which means you have to be near a laptop or pc which means you can’t be out and about. Hanging about filling in pre-qualification surveys is not my idea of a good time especially when you can’t seem to qualify for a damn survey. Reading many reviews from members, it would appear that you have to watch what you say in the forum and can get banned for asking the wrong questions. I have also heard it going around that they monitor for things being said about the company which gives them a reason to ban you. In many cases, I have seen members complain of losing everything even though they have been with NeoBux for a number of years. It’s a bit of a closed shop when trying to find out just how many members there are at NeoBux.com and I couldn’t find any mention of this anywhere. Having a referral program is usually a big plus but here at NeoBux.com, you are restricted on the number of referrals that you can invite, and the way to extend that number is to upgrade your membership which costs money. Many members are suggesting that those so-called rented referrals are in fact just bots, but there is no way that I could confirm that one way or the other. Maybe the reason why we can’t find out the total number of members that are on NeoBux is that this might disclose where those rented referrals are actually coming from. This is where it starts to cost and the amounts are quite staggering and well into the tens of thousands of dollars. I have seen it mentioned as high as $75,000 for renting 1,000s of referrals and to get to that point will take you years. Is NeoBux a legitimate online business and I have to say it is, but for me, that’s where the buck stops, because as you can see you are not going to be earning great amounts of money and the main reason why I would not recommend NeoBux.com. Some will disagree with why I am not recommending this online opportunity, but the facts are there for everybody to see. Even when I look at the all the positive reviews on sites like Trust Pilot, I still can’t get my head around why this is the case, but maybe people are just happy with a few bucks here and there and I’m OK with that. I do understand that some countries which I have noticed are struggling with their economy and therefore any amount of money is better than none, but rather than spend all day on these sites wouldn’t it be more productive learning how to build an online business and switching places? I was that person not too long ago now, taking surveys and clicking on ads and they drove me mad until I decided that either I learn how to make some real money online or give up altogether and get a real job. Guess what I did? Anyway, if you are reading this then I have to thank you for your time and patience, and hopefully, I have managed to give you most of the facts. If you are a member of NeoBux.com then I would love to hear from you and tell me how its been going? Did you manage to crack the rented referrals? How much did you have to invest and how much did you make? Any problems with NeoBux as I’d like to know. If you enjoyed the review then why not share a little love and share it amongst your friends who are maybe looking for a little guidance. HEY, I like your site,was well put together you did a good job. hey Clifford, thanks for stopping by and commenting. Wow, no way. Thank you for this review. Even though it may be legit, why would anyone want to do so much work for so little pay? I have been looking for ways to make money online for some time now and I came across your review by chance which I am grateful for. Great review. Hey Curtis, hope I have managed to help you in some way, well at least to inform you that there are better alternative solutions out there. Thanks for stopping by and your comments. Much appreciated. Hey Mick 🙂 I never heard of Neobux before. But let me tell you that I have not only heard of but been through many online “programs” that turn out to be either nothing but scams or pay you next to nothing for tons of hours of work. I could never sit through hours of clicking on ads and taking surveys. It’s just not worth the time. But I did find Wealthy Affiliate and although I joined for free, I saw the opportunity of a lifetime and went premium in a few days. Have you ever seen a better program where you can build an online business with so much support and training? I never did until now. 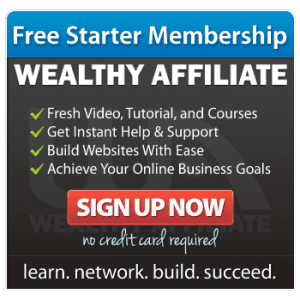 What’s the one thing you would say is best about Wealthy Affiliate? Hey Rob, so glad to meet another member and so glad that you found Wealthy Affiliate. In reply to your question, “have you ever seen a better training platform?” and I have to answer with a resounding no I haven’t, and that’s not through want of trying I can tell you that. Nothing at all comes anywhere near! and “What’s the one thing you would say is best about Wealthy Affiliate?” For me, there are far too many answers to this question, so I guess the training, community, costs, the entire platform. Quite honestly where can you get all this training for less than $1 a day? You simply can’t anywhere. The amount of training available would costs 10’s of 1,000s of dollars and that is for sure. Thanks for sharing. Hello Mick, thank you for sharing this valuable information. It is absolutely true, with the NeoBux system you will give up even before you start. They also run ads that you can pay with credits bought on their platform, they are normally available for the members who sign in. Although they are visited and in a short period of time you can get a great number of visitors to your site or offers, in my own experience the traffic I got was completely worthless. Fortunately, I did not spend that much and left the NeoBux adventure for good. I tried other PTC’s and solo Ads platforms, and I never got one single result. 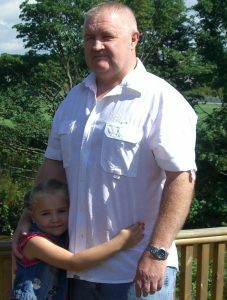 So great to have found Wealthy Affiliate myself too, and you are so generous to recommend it because indeed it changes lives! Only the Free Starter Membership and training, worth the try and has a fantastic value, so even before I paid for my Premium Membership, I was already in profit. Hi Pablo, thanks for sharing your experiences and sounds like you are on the road to success and therefore good luck and once again thanks for stopping by and commenting. I have been researching ways to make money online and I came across your review of NeoBux and decided to check it out as I had heard conflicting remarks said about it, but reading your review and how you have described it in detail as opened my eyes and cleared up many questions that I needed answering. 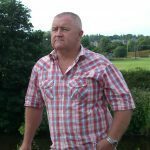 In this review, you also mention Wealthy Affiliate which I have looked at and was wondering if this training was as good as you are saying it is? Thanks for sharing this great article. Hey Boryana, thanks for stopping by and reading this current review about NeoBux. Glad I could help and hope I managed to explain all the facts and cleared in questions you had. Regarding Wealthy Affiliate, I found this training platform quite by chance and came at the time when I was going to stop trying to “Make Money Online” because I was getting nowhere fast. Even after finding this business I was very sceptical due to all the bad experiences I had encountered along the way, but glad I decided to give it a try. As far as I am concerned there is nothing like it available on the Internet and the training is 1st class and would cost thousands of dollars elsewhere. Thank you for the comments. I never heard of Neobux before but by default, I think most of these type programs are scams. I hung around and watched YouTube video one right after another. Some of them are darn good at what they do! I almost took the bait, but my conservative spending habits kicked in and I just said not today. After several weeks I stumbled across Wealthy Affiliates and joined rather quickly after doing some due diligence on the web. I very much like WA and believe I will be part of the community for a long long time! Hey Brian, I guess it all depends on how you interpret what an actual “scam” is, and a term that I tend to use very lightly. It looks like you’re another satisfied customer with Wealthy Affiliate as your new chosen career path, but quite honestly I have very seldom seen a negative jibe. Good luck and thanks for sharing and your support. Previous Previous post: ClickBank University 2.0 Review 2018: Is It Worth the Money? Next Next post: How To Make Money Online For FREE – REALLY!! !